A sort of part two to The Red Pumpkin Truck (if you’re new to SCF, it’s still available, all of our files stick around! 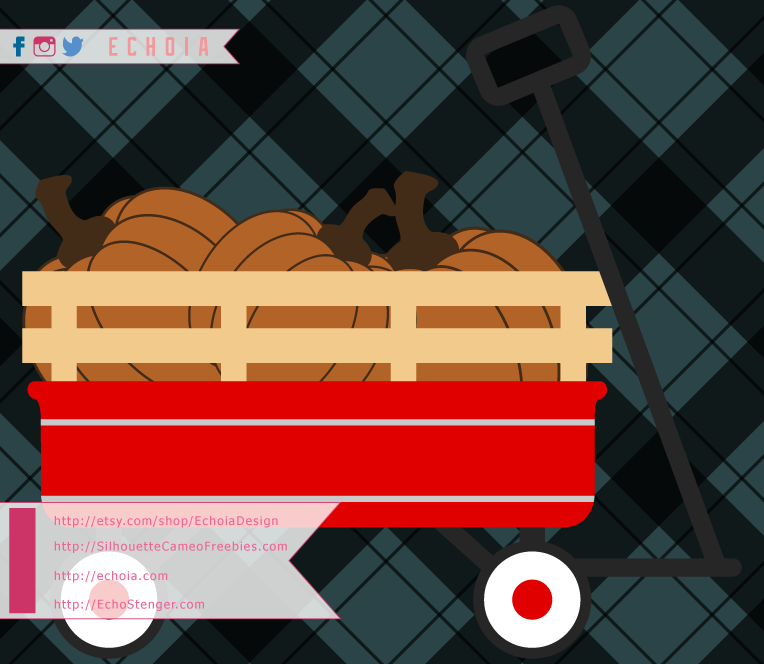 ), I bring you The Red Pumpkin Wagon! I love pumpkin patches, they’re so serene and idyllic. Was that repetitive and redundant? I hope you guys like this file. Happy Silhouetting, and remember, if you need commercial licenses for my designs, they’re available at EchoiaDesign on Etsy!